The purpose of investigation is to find out the potential of Chitosan (CH) and Hydroxy propyl methyl cellulose (HPMC) derivatives loaded with Piroxicam (PRX) for delivering into the stomach by using gastroretention technology. These single unit hydrodynamically balanced system capsules (HBS capsules) were prepared by manual hand shaking method followed by filling in empty hard gelatin capsule shell. The formulations were evaluated for drug‒excipient interaction by using Fourier Transform Infrared spectroscopy (FTIR), and by Thermogravimetric Analysis (TGA)/Diffrential thermal analysis (DTA)/Derivative thermo gravimetric analysis (DTG). In vitro buoyancy studies, in vitro characteristics, long term stability studies and curve fitting analysis were also performed. FTIR and TGA/DTA/DTG thermograms represents that there is no any drug excipient interactions takes place. All the formulations (F1‒F12) remained buoyant till the time of drug release without any lag time. Release profile of formulations in HCl; 0.1 mol L‒1 shows the release upto 90% without sinking in the dissolution media. Long term stability studies for formulations (F5, F6 and F12) period of twelve months are stable through the period when compared with normal (F5, F6 and F12) without showing any significant difference. The similarity factor value (f2) was found to be 85.45, 88.98, 86.78 respectively for F5, F6, F12 formulations. Curve fitting analysis represents the formulation (F1‒F5) shows the zero order kinetics while formulation (F6‒F12) followed the Higuchi model on the basis of there r2 value. Our obtained result suggests that CH, HPMC and in combination of HPMC and CH loaded with PRX is an excellent biopolymer for sustained delivery of drug from single unit hydrodynamically balanced system capsule. The hydrophilic nature of polymeric matrices may result in increased gastric fluid uptake and swelling leading to increase in bulk volume. The air entrapped in swollen matrices maintains the density lower than unity, which ultimately confers buoyancy to the dosage form. Because of the formation of a buoyant glassy polymeric hydrogel structure, these matrices are expected to prevent the direct contact of PRX to the mucosal lining of the stomach and also sustain the PRX release.8 Characteristics of formulation depends upon the characteristics of polymer like its molecular weight, concentration, viscosity, combining with different polymer and degree of deacetylation. Therefore it is of interest to investigate the effect of molecular weight, concentration, viscosity, combining with different polymer and degree of deacetylation on drug retardation from polymeric matrices.9 In addition to these physical and chemical interaction studied by using FTIR and by thermal characterization; by DTA/TGA/DTG study is there any effect of above parameters on drug interaction and drug stability. Chitosan (CH) has gained lots of attention to the researcher during the past few years due to its several sole properties like biocompatibility, biodegradability and non toxic effects associated with it, that’s why some researcher called as an “intelligent polymer”.10 This Chitosan when it comes to the contact with the water it forms an gel like structure and due to the gel formation with water named as “hydrogels”. These hydrogels are having high affinity for the water, but they are prevented from mixing with the water due to the presence of physical or chemical bonds associated with the hydrogel-glassy structure.11 In gastrointestinal drug delivery system it is considered one of the most exclusive career due to its absorption enhacement role and enhancement of drug transport via opening of tight juncture between epithelial cells.12 The positive charge, with very high charge density, present on the amino group surface of Chitosan binds to the negative charge of stomach mucosal lining, which results in the formation of hydrogel complex which retards the drug which is matrixed in the reservoir of Chitosan molecules.13 Although in combining this to the different molecular weight of Chitosan molecule this leads to the changes in the viscosity and this affects the retardation of drug from the matrixes. In the present study, the potential of CH-HPMC matrices as single unit stomach specific sustained release carrier have been evaluated for patient compliant oral delivery of Piroxicam (PRX), a potent NSAID and used as a model drug. PRX is a nonsteroidal anti-inflammatory drugs (NSAIDs) belonging to oxicam group. They exhibit a potent analgesic and anti inflammatory activity effective in the treatment of rheumatoid arthritis, and other joint diseases. They exhibit cyclooxygenase (COX) at the peripheral end, which is an important enzyme for the biosynthesis of prostaglandins (PG) at the site of inflammation. They are well absorbed from oral route and from stomach mucosal cell, according to the Biopharmaceutical Classification System (BCS) belonging to class II drug characterized by a low water solubility and dissolution rate. The combination of PRX with cationic polymer (CH) and non ionic polymer (HPMC) are expected to form an hydrogels when they comes in contact with dissolution media (HCl; 0.1 mol L-1) and retards the release of PRX from the hydrogel matrices of CH and HPMC. Piroxicam (PRX) was received as a gift sample from Akum’s Drug and Pharmaceutical Limited, India. Low Molecular Weight Chitosan (LMWCH; Degree of Deacetylation 75-85%, apparent viscosity 20-300 cP at 25 °C, Brookfield), Medium Molecular Weight Chitosan (MMWCH; Degree of Deacetylation 75-85%, apparent viscosity 200-800 cP at 25 °C, Brookfield) and High Molecular Weight Chitosan (HMWCH; Degree of Deacetylation >85%, apparent viscosity >400 mPa.s at 20 °C, Brookfield) was procured from Sigma-Aldrich; St. Louis, USA. Hydroxypropylmethylcellulose (HPMC K4M, apparent viscosity 3000-5600 cP at 20 °C and K15M, apparent viscosity 11250-21000 cP at 20 °C) obtained as a gift sample from Colorcon Asia Private Limited, Goa, India. For method validation, High Performance Liquid Chromatography (HPLC), used is of the Water Breeze 2 system, Water Spherisorb® analytical column used which have the dimension of 5µm, 4.6*250mm. All the chemicals and reagents used were of analytical grade. Development of validated HPLC method for estimation of Piroxicam: HPLC method was chosen for validation of Piroxicam. In this linearity, recovery studies, ruggedness and intermediate precision and method validation were determined. The HPLC used is of Water Breeze 2 computing intergrator software. Preparation of Single-unit Hydrodynamically Balanced System (HBS) Capsules containing formulations by ordered mixing: Optimized formulations (Table 1) of HBS capsules were prepared ordered mixing technique by placing the drug between layers of polymers in a borosil glass vial (10ml) and shaken vigorously manually by hand for 5 min., followed by encapsulation in colorless hard gelatin capsule shell. The procedure had advantages that it did not cause size reduction of neither drug nor polymer during mixing that would believe to affect the release profile of formulations. Thermal characterization: Thermogram was performed by EXSTAR TG/DTA 6300. It was carried out to examine the characteristic peaks (exothermic and endothermic) and accurate melting point of drug, excipient and drug excipient samples used in the investigation. The analysis was carried out over melting point at a rate of 5 °C/min. upto the melting point in presence of inert nitrogen [N2] using duplicate samples of 5 mg in crimped aluminum pans. Functional group characterization of drug, excipient and drug excipient composition by using Fourier Transform Infrared spectroscopy (FTIR) studies: Fourier Transform Infrared spectroscopy (FTIR) was performed by BX2, Perkin Elmer, Norwalk, USA. The FTIR analysis was carried out for qualitative compound identification and to ascertain that there is any drug excipient interaction occurs or not and secondly to confirm the presence of functional group in the compound and its comparison to official compendium. The method involved is of direct compression technique by using potassium bromide (KBr). The KBr pellet of approximately 1 mm diameter of the drug was prepared grinding 3-5 mg of sample with 100-150 mg of KBr in pressure compression machine. The sample pellet was mounted in FTIR compartment and taken scan at wavelength 4000cm-1-400cm-1. Table 1 Formulation composition of PRX HBS capsule. Stability studies of PRX in 0.1 M HCl L-1: Stability studies of PRX in 0.1 mol L-1 HCl (pH 1.2) were determined in order to assure that whether the drug will be remain stable throughout the period of drug release. In this 2mg/ml, 3mg/ml and 4mg/ml solution of PRX is prepared in 0.1 mol L-1 HCl having the pH of 1.2. The temperature of the system is maintained at 37±0.5 °C. One ml of the sample was withdrawn periodically and replaced by freshly prepared 0.1 mol L-1 HCl. The samples are suitably diluted by the same followed by sonicating it for 5 minutes and were measured at 333nm (Shimadzu UV-1800). Determination of drug content in formulations: The drug concentration in each formulation was determined in triplicate by emptying each formulation in 0.1 mol L-1 HCl at 37±0.5 °C. This mixture is stirred for 2 hours at 200 rpm. The solution was filtered through 0.45µm membrane filter, diluted suitably and analyzed at 333 nm. In vitro buoyancy studies: The capsules were placed in 900ml of in simulated gastric fluid, pH 1.2 in USP type II apparatus at 50 rpm maintained at 37±5 °C. The time during which the formulations remained buoyant was observed and was taken as the floating time. In vitro release studies and drug release kinetics: Prepared ordered mixed HBS capsule containing formulations were immersed in 900 ml of 0.1 mol L-1 HCl and in vitro drug release from the prepared formulations in SGF (pH1.2) using USP XXIV type II (paddle type) apparatus (Electrolab; TDT-08L, Mumbai; India) at 50RPM was carried out. Aliquots of 1ml as samples were withdrawn for analysis and an equal amount of fresh 0.1 mol L-1HCl was replaced in the dissolution vessel. Obtained samples were analyzed for their absorbance at 333 nm and the concentration was determined by the standard thermogram of PRX. Stability studies: To ascertain the stability of the selected formulations (F5, F6 and F12), the stability studies were conducted according to the ICH guidelines. Selected formulations were analysed for long term stability studies for 25 ± 2 °C /60 ± 5% RH for a time period of 12 months for their buoyancy, lag time, viscosity, percent drug content and percentage drug release. Statistical analysis: All the data were analyzed by Students t test to determine statistical differences between the results. A probability value p<0.05 was considered statistically significant. Statistical analysis of obtaining the data was performed by using Graphpad Instat® software. 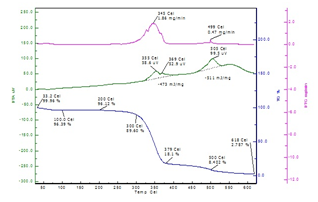 Validation of HPLC method: UV spectrum of PRX was measured in 0.1 mol L-1HCl and buffer ratio of Acetonitrile (ACN) and potassium dihydrogen phosphate (3:1). In both solvents the wavelength was found to be 333nm and was reproducible. PRX shows the linear range of (1-50µg/ml) and the coefficient (r2) was found to be 0.9967 (y = 62370x + 114200). The retention time (RT) was 3.253 min. The recovery studies were performed at 50 %, 100 % and 150 % levels and the % RSD (Relative Standard Deviation) should not be more than 2% as mentioned by ICH guidelines and it was found to be 0.831 within the specified range (Figure 1). 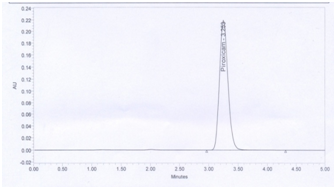 Figure 1 Chromatogram of PRX Validation of HPLC method. Ruggedness and Intermediate precision % RSD was found to be 0.539 and it also conferred the limitation within the mentioned by ICH guidelines. Method precession % RSD also found to be 0.593 and it shows that the method is precise. The results obtained from the validation parameters meet the requirements. It explains and suggests that the it follows the Beer’s Lamberts law (Table 2). Stability studies of PRX in 0.1 M HCl L-1: PRX shows some degradation in 0.1 mol L-1 HCl in the concentration range of 2mg/ml, 3mg/ml and 4mg/ml but the degradation was not significantly found (p>0.05). Degradation of the drug was not seen concentration dependent. Degradation of drug during drug release was not seen and it is believed that due to the formation of glassy polymeric structure in the dissolution media due to the nature of hydrophilic colloid it directly prevents the drug from the degradation. This assures the drug will be stable throughout the period of drug release (Figure 2). 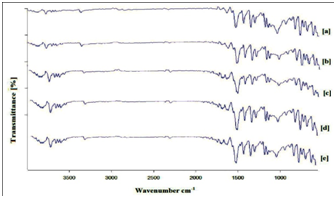 Drug excipient interaction studies by Fourier Transform Infra-Red Spectroscopy (FTIR): The FTIR spectra of pure PRX represents an absorption band at 3338.07cm-1 which indicate that the drug is in the cubic polymorphic form. The absorption band at 772.65cm-1, 1148.91cm-1, 1350.55cm-1, 1435cm-1 and 1629.84cm-1 correspond to stretching of ortho-di-substituted phenyl, stretching of–SO2-N- group, Stretching of the symmetric methyl group, stretching of the asymmetric methyl group and stretching of amide carbonyl respectively. Apart from PRX when used in combination with K4 and K15 in spectra (a) there is presence of C-O alcoholic group in 1297.31, C-H alone group at 2827.77 cm-1, O-H alcoholic at 3332.33 cm-1 and C-O ether major characteristic peaks at 1142.62 cm-1. In the case of PRX in combination with LCH and MCH in spectra (b) there is no shifting of the peaks of PRX, instead of showing PRX peaks it also shows the peaks of LCH and MCH at C-O alcoholic group at 1177.69 cm-1, O-H alcoholic group at 3678.66 cm-1, C-N (primary amines) at 1212.10 cm-1, C-O (ether) at 1143.60 cm-1 and N-H (secondary amines) at 3565.63 cm-1. Replacing MCH by HCH in spectra (c), there is no difference in the peaks, but there is a very small deflection of the peak of N-H (secondary amines) at 3418.89 cm-1. In the spectra (d) there is no shifting of the peaks of PRX, MCH and K4 this shows that there is no interaction of the PRX, MCH and K4. Similar type of conclusion can also be drawn for the spectra (e) there is no any major changes in the characteristic peaks PRX and polymers. All the sets of spectra reveals that the there is no any change or shifting of the major peaks when used in combination and from this we conclude that there is no any drug polymer interaction takes place in the formulation. 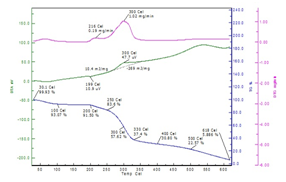 Thermal Studies: Figure 4 shows the thermal behavior of PRX under experimental conditions. The DTG/TGA thermogram shows that the drug is stable up to 255 °C and degradation of drug is a one stage process. Maximum degradation of drug and maximum loss of mass occurs at between 250-300 °C (approximate 60%). The DTA thermogram of PRX shows one sharp endothermic peak at 201 °C corresponding to the melting point of pure drug whereas a broad exothermic peak at 259 °C attributed to the slow degradation of drug. 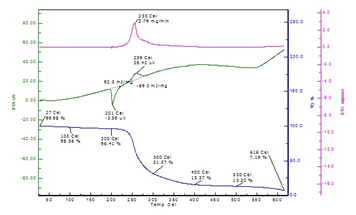 Figure 5 shows the thermal behavior of Chitosan. The DTG thermogram shows the Chitosan is stable up to the temperature of 296 °C whereas in the starting of the thermogram there is a very small exothermic peak at 730C which represents the vaporization of water from Chitosan molecule and the degradation of Chitosan represents that it is a one stage process as clearly indicating in TGA thermogram. Maximum degradation of Chitosan and maximum loss of mass occurs at between 296-310 °C (approximate 41%). The DTA thermogram of Chitosan represents one broad exothermic peak at 304 °C, which results in the slow degradation of the Chitosan. 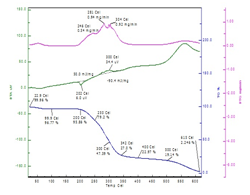 Figure 6 shows the thermal behavior of HPMC. The DTG thermogram represents the one broad exothermic peak at 345 °C and small exothermic peak at 499 °C. DTA exothermic peak at 355 °C represents that the slow melting of the polymer and another exothermic peak at 505 °C representing the degradation of the polymer. Maximum loss of mass, i.e. 78.9% took place at 379 °C and at 500 °C up to 92 % mass was loss as clearly seen from the TGA thermogram. However, this thermogram also represents that the degradation of polymer is a two stage process one at a lower temperature and another at a higher temperature due to the presence of two functional groups. Figure 7 shows the thermogram of PRX with LMWCH and MMWCH. 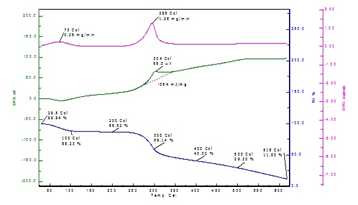 From DTG, first exothermic peak represents the drug is stable up to a temperature of 2490C and another broad exothermic peak represents that the both LMWCH and MMWCH is stable up to a temperature of 296 °C. 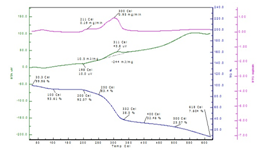 This is confirmed by the TGA thermogram, which shows that the degradation of both the drug and polymer takes place between 258-3200C (approximate 60 %). DTA thermogram shows one endothermic peak at 201 °C which suggests the melting of PRX and this peak also present in the DTA thermogram of pure PRX (Figure 4) which confirms that there is no drug excipient interaction takes place. Broad exothermic peak at 302 °C represents the slow degradation of PRX and polymer. Figure 8 represents the thermal behavior of PRX with LMWCH and HMWCH. The DTG thermogram represents that sharp exothermic peak at 255 °C which suggests that the drug is stable up to that temperature second broad exothermic peak at 303 °C which also suggests that the polymer is stable up to mentioned temperature. The maximum loss of mass takes place between 264-316 °C. DTA thermogram represents the one endothermic at 202°C and this peak present in the DTG thermogram of PRX (Figure 4), one exothermic peak at 308 °C which represents the slow degradation of both drug and polymer and this suggests that there is no interaction between drug and polymer. Figure 9 represents the thermal behavior of PRX with HPMC K4 and K15. 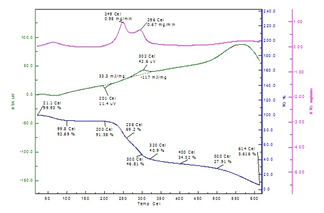 DTG and TGA thermogram of formulation shows that the formulation is stable up to the temperature of 304 °C and the degradation of a formulation is one stage process. Maximum degradation and maximum loss of mass occur at between 200-300°C approximate of 52%. DTA thermogram indicates one endothermic peak at 202 °C which is of pure Piroxicam melting peak whereas broad exothermic peak at 300 °C is of slow degradation of drug and polymer. Figure 10 represents the thermal behavior of PRX with MMWCH, HPMC K4 and K15. DTG and TGA thermogram represents the formulation is stable up to the temperature 332 °C. In this loss of mass is biphasic process at the temperature of 250 °C maximum loss of mass took place of 16.6% and at second stage at 332 °C 61.5% loss of mass took place as clearly seen in the TGA thermogram. DTG thermogram explains the formulation is stable up to temperature of 300 °C. DTA thermogram reveals that the there is endothermic peak at 198 °C which is of pure drug melting peak whereas broad exothermic peak at 311°C is of slow degradation of drug and polymers used. Similarly, similar type of argument can be state for PRX with MMWCH and HPMC K4 (Figure 11). DTG and TGA thermogram represents that the formulation is stable up to the temperature of 300 °C. Loss of mass is biphasic process. Between temperatures 200-250 °C, 16.4% loss of mass occurs whereas, between 300-330 °C, 62.6% loss of mass is there. In DTA thermogram there is presence of drug melting endothermic peak which suggests that the there is no possible drug excipient interactions and broad exothermic peak which signifies that the slow degradation of drug and excipient used at 300 °C. All DTA/TGA/DTG thermogram reveals that the there is no any possible drug excipient interaction is there. Figure 2 % PRX degradation in 0.1 M HCl-1 with respect to time. 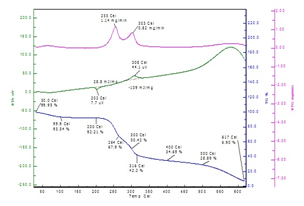 Figure 3 FTIR spectra of (a) PRX, HPMC K4 and HPMC K15 (b) PRX, LMWCH and MMWCH (c) PRX, LMWCH and HMWCH (d) PRX, MMWCH and HPMC K4 (e) PRX, MMWCH, HPMC K4 and HPMC K15 Thermal Characterization Studies. Figure 4 Thermogram of PRX. Figure 5 Thermogram of Chitosan. Figure 6 Thermogram of HPMC. Figure 7 Thermogram of PRX+LMWCH+MMWCH. Figure 8 Thermogram of PRX+LMWCH+HMWCH. Figure 9 Thermogram of PRX+ HPMC K4+HPMC K15. Figure 10 Thermogram of PRX+MMWCH+HPMC K4 + HPMC K15. Figure 11 Thermogram of PRX+ MMWCH + HPMC K4. For proficient buoyancy, swelling of the polymer is very important parameter. Additional to these there must be proper steadiness of swelling, water uptake and hydration of polymer. In this, there is swelling of the polymer that resulted in an increase in bulk volume. The air entrapped resulted in density lesser, which ultimately leads to the buoyancy to the formulation without any lag time (Table 3). Table 3 In vitro buoyancy studies. Table 4 In vitro characteristic of PRX-HBS capsule formulations. * All determinations were carried out in triplicate, mean±SD. 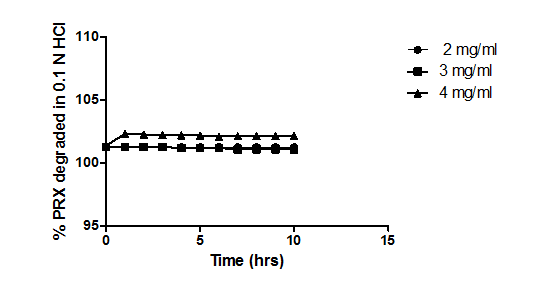 Figure 12 % Drug release of F1-F4 in 0.1 M HCl L-1. 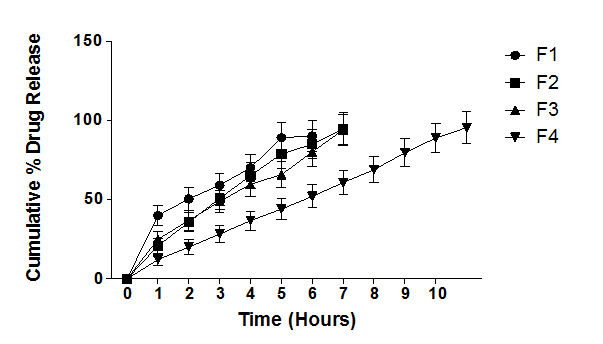 Figure 13 % Drug release of F5-F8 in 0.1 M HCl L-1. Figure 14 % Drug release of F9-F12 in 0.1 M HClL-1. This above all the findings reveals that the all the formulations (F1-F12) remained buoyant during the drug release studies. This parameters are the rate limiting steps for the achieving the gastroretention. From the carried study it was found that the disruption of the capsule shell began as soon as it comes in contact with dissolution media, but its complete disruption of the shell took place in about exactly between 15-20 min for all the formulations. During this period release rate was found to be negligible (<0.5%) but as the dissolution medium penetrated through the disrupted shell as these all are the hydrophilic polymers, it forms a gelatinous glassy matrix mass through which drug diffuses slowly. In formulations F1-F4 in this we used the HPMC alone (K4M, K15M) and in combinations with the drugs in different ratios. Evidence is building that suggests that the kinetics of initial hydration of cellulose ethers which are present in HPMC is quite fast and relatively independent of substitution. The amount of water bound to HPMC is related to both the substitution and the polymer molecular weight. Within the gel layer, there obviously exists a moisture gradient from the outside surface in contact with liquid in the inner dry core. Water appears to exist in at least three distinct states within a hydrated gel of pure polymer; the addition of drugs and presumably other excipients to the polymer matrix alters the relative amounts of water in each of the states. Upon complete polymer hydration at the outer surface, chain disentanglement begins to occur, i.e., erosion of the matrix. In the formulation F1 the release was retarding with the propagation of time, but at least there are burst and improper release takes place which is clearly seen in the graphs, but this condition gets better by increasing the viscosity of HPMC; taking K15M but not modified. The possible reason behind this performance of K4M and K15M is only measurement of the self-diffusion coefficient (SDC) of water with pure gels of the polymers. But in combination of both these (K4M and K15M; 3:1) the release somewhat improved, but in a ratio of 1:3 it gets better improved because in this formulation it is believed that due to the high viscosity of K15 and in combination with low viscosity K4M it forms a high gelled matrix through which drug diffuses out slowly from these matrixes (from 12.24% F4; from 25.12 % F3, after the second hour) from the matrix. carried studied we have found that the in combination with different viscosity of Chitosan the release profile of Piroxicam increases in combination and releases the drug profoundly throughout the run time. In formulation F8-F12 we have taken the different viscosity grades of HPMC (K4 and K15) and Chitosan (LMWCH, MMWCH, and HMWCH) in combination with all these in F12 it releases the drug for almost 11 hours with 93.13% drug release. 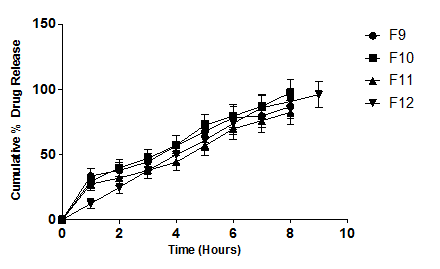 All the formulation (F1-F12) shows buoyant time till the drug release with no lag time. For efficient buoyancy, polymer swelling is crucial. In our case, the swelling of hydrophilic polymers results in increase in bulk volume. The air entrapped in swollen polymers maintains the density, which confers the buoyancy to the dosage form in 0.1 M HCl L-1 at temperature 37 °C. Besides r2 values, Akaike Information Criteria (AIC) was also performed to test the applicability of the release kinetics model (Table 6). AIC is the measurement of the goodness of fit based on maximum likelihood. When comparing the several models for a given set of data, the smallest AIC value regarded as best fit out of the models from the sets. AIC from the given set out of data was carried out by KinetDS software (Table 6). After long term stability studies it was found that there is no significant difference found between the formulation (F5, F6 and F12) before stability studies and after stability studies so from these we can state that our formulation is stable. Similarity factor (f2) when applied to the formulations for comparison of its dissolution profile, normal formulations vs formulations which was kept for the stability studies (normal F5 formulation vs F5 formulation which was kept for the stability, normal F6 formulation vs F6 formulation which was kept for the stability, normal F12 formulation vs F12 formulation which was kept for the stability) the similarity value was found to be 85.45, 88.98, 86.78 respectively for F5, F6, F12. Higher the f2 value indicating the more similarity between the two dissolution profile rates (Table 7) (Figure 15). Figure 15 % Drug release of F5, F6 and F12 in 0. 1 N HCl. Table 5 Drug release kinetics. Determined for amount of drug release for upto 60%. Table 6 Comparison of AIC values for various dissolution kinetics. Table 7 In vitro characteristic of PRX HBS formulations after long term stability study. *All determinations were carried out in triplicate, mean±SD. In this study of PRX as model drug with various grades of CH and HPMC as polymeric matrices was studied. All the formulations shows excellent buoyancy till the time of drug release. All the combination with the polymers retards and sustained the drug release (which was followed by zero order kinetics) as it comes to the contact with the dissolution media (0.1 M HCl L‒1) and forms a glassy hydrogel like structure. Considering the studied data it can be conluded that CH with HPMC may contribute an polymeric matrices which can sustained the PRX for the development of delivery of moiety to the stomach. This research work supported by Sardar Bhagwan Singh PG Institute of Biomedical Sciences and Research, Dehradun, India. Authors are also thankful to Indian Institute of Technology; IIT, Roorkee and Dibrugarh University, Assam, India for characterization of samples. This paper is based, in part, on the work done for a PhD degree of IFTM University, Moradabad, India by one of the author. Vilar G, Puche JT, Albericio F. Polymers and drug delivery systems. Curr Drug Deliv. 2012;9(4):1–28. Hascicek C, Rossi A, Colombo P, et al. Assemblage of drug release modules: effect of module shape and position in the assembled systems on floating behavior and release rate. Eur J Pharm Biopharm. 2011;77(1):116–121. Jaimini M, Rana AC, Tanwar YS. Formulation and evaluation of famotidine floating tablets. Curr Drug Deliv. 2007;4(1):51–55. Arora S, Ali J, Ahuja A, et al. Floating drug delivery systems: a review. AAPS Pharm Sci Tech. 2005;6(3):372–390. Erni W, Held K. The Hydrodynamically balanced system: a novel principle of controlled drug release. Eur Neurol. 1987;27(1):21–27. Sheth P R, Tossounian J. The Hydrodynamically balanced system (hbs™): a novel drug delivery system for oral use. Drug Development and Industrial Pharmacy. 1984;10(2):313–339. Arza RK, Gonugunta CSR, Veerareddy PR. Formulation and Evaluation of Swellable and Floating Gastroretentive Ciprofloxacin Hydrochloride Tablets. AAPS Pharm Sci Tech. 2009;10(1):220–226. Streubel A , Siepmann J, Bodmeier R. Drug delivery to the upper small intestine window using gastroretentive technologies. Curr Opin Pharmacol. 2006;6(5):501–508. Mahdavinia GR, Pourjavadi A , Hosseinzadeh H, et al. Modified chitosan 4. superabsorbent hydrogels from poly(acrylic acid‒co‒acrylamide) grafted chitosan with salt‒ and ph‒responsiveness properties. European Polymer Journal. 2009;40(7):1399–1407. Streubel A, Siepmann J, Bodmeier R. Floating matrix tablets based on low density foam powder: effects of formulation and processing parameters on drug release. Eur J Pharm Sci. 2003;18(1):37–45. Simoesl S, Figueiras A, Veiga F. Modular Hydrogels for Drug Delivery. JBNB. 2012;3(2):185–199. Peppas NA, Bures P, Leobandung W, et al. Hydrogels in pharmaceutical formulations. Eur J Pharm Biopharm. 2000;50(1):27–46. Huichao W, Shouying D, Yang L, et al. The Application of biomedical polymer material hydroxy propyl methyl cellulose (HPMC) in pharmaceutical preparations. J Chem Pharm. Res. 2014;6(5):155–160. Levina M, Ali RRS. The Influence of excipients on drug release from hydroxypropyl methylcellulose matrices. J Pharm Sci. 2004;293(11):2746–2754. Yao F, Weiyuan JK. Drug Release kinetics and transport mechanisms of non‒degradable and degradable polymeric delivery systems. Expert Opin Drug Deliv. 2010;7(4):429–444. Ganjoo R, Soni S, Ram V. Effect of release modifier on hydrodynamically balanced system of ketoprofen for sustained delivery system. Inventi Impact: Pndds. 2013;2013(4):283–288. Tiwari P, Soni S, Ram V, et al. Raft forming buoyant ph dependent thixotropic gelling systems incorporated with gelucire 43/01 as a potential stomach specific drug delivery system for famotidine. J App Pharm. 2015;7(3):183–202. Dubey J, Verma A, Verma N. Evaluation of chitosan based polymeric matrices for sustained stomach specific delivery of propranolol hydrochloride. Indian Journal of Materials Science. 2015:312934. Higuchi T. Rate of release of medicaments fron ointment bases containing drugs in suspension. J Pharm Sci. 1961;50:874–875. ©2015 Soni et al. This is an open access article distributed under the terms of the Creative Commons Attribution License , which permits unrestricted use, distribution, and build upon your work non-commercially.